HOLIDAY HOMES TO RENT IN THE MIDI-PYRENEES. 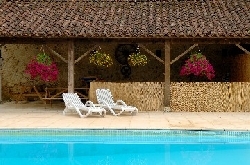 Welcome to our selection of holiday homes to rent in Midi Pyrenees, France. The large Midi-Pyrenees region is located in the south-west of France, on the border with Spain. Home to skiing resorts in the winter and hundreds of walking and cycling trails in the summer, the area has always been popular with visitors who enjoy the great outdoors, stunning natural scenery and sporting activities � including some high-adrenaline activities such as white water rafting and rock climbing. The best of the Midi-Pyrenees scenery is undoubtedly to be found in the Pyrenees mountains. There are thousands of kilometres of walking and climbing trails in the area, some of which are only suitable for those with extensive hiking experience. Local tourist offices will be able to supply you with advice and information if you are unsure which is the best route for you to take, in order to explore the Midi-Pyrenees countryside. The roads in this part of France have been popular with cyclists for decades, following in the footsteps of the famous Tour de France bike race. In particular, the Tourmalet Pass offers cyclists a real challenge, and features in the summer race regularly. Where you find mountains, you will also frequently find caves and the Midi-Pyrenees region is no exception. There are some particularly special examples in this part of France, such as the Mas d'Azil cave, the only such feature in Europe that you can drive a car through, or the Niaux caves with their impressive examples of prehistoric art. Inspired by these caves, children may enjoy visiting the nearby Prehistory Park, with interactive displays, activities and workshops to help them learn more about the kind of people who lived in the region hundreds of thousands of years before. The region's main city, Toulouse, is an intriguing mixture of the historic and the modern. The old town is filled with medieval and 17th century buildings, museums dedicated to fine art and archaeology, along with pleasant gardens and parks alongside the Garonne River. However, the modern city is also a lively place to stay, with plenty of bars and restaurants and is home to France's aeronautics and space industries. Parts of the complex are even open to the public, featuring hands-on exhibitions and the chance to tour the new Airbus A380. The Canal du Midi passes through Toulouse, a engineering masterpiece built in the 17th century and now a UNESCO World Heritage Site. You can take day trips on the water or walk and cycle on the towpaths alongside to enjoy the view. Looking for self catering holiday accommodation in Midi Pyrenees? 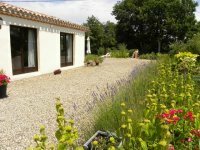 Then below is a selection of gites in Midi Pyrenees and villas in Midi Pyrenees that can be rented direct from their owners. You can either click on each listing for further details or you can use our search engine on the left if you are looking for something in particular.